Have you been seriously injured from a table saw that may have been prevented? Table saw lawsuits have been filed in state and federal courts against table saw manufacturers for failing to adopt safety technology in an effort to prevent table saw injuries. For instance, a federal court jury in Chicago awarded $1.25 million in September 2014 to a 30-year-old man who sued Ryobi Technologies (1:08-cv-04006, U.S. District Court, Northern District of Illinois). The table saw lawsuit alleges that the man lost an index finger and parts of two other fingers during a kickback, which happens when the saw blade unexpectedly drives the wood back toward the person using the table saw. In March 2010, a Massachusetts man was awarded $1.5 million for severely injuring four fingers on his left hand while using a Ryobi bench-top table saw to rip up a floorboard. The table saw injury lawsuit only sought $250,000 in damages. (06-10725, U.S. District Court, District of Massachusetts). The table saw injury lawyers at Alonso Krangle LLP are offering free table saw lawsuit legal reviews to consumers who have been injured due to using table saws. 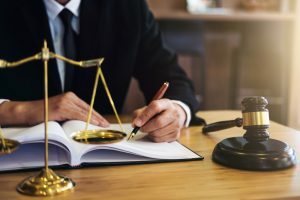 To learn more about filing a table saw injury lawsuit, please Contact Us At 1-888-836-3050 Or Visit Our Website, https://fightforvictims.com. Table saws are convenient machines to use for major woodworking projects at home or in the workplace. The circular blade, powered by an electric motor, accurately cuts pieces of wood into a variety of shapes and sizes. Unfortunately, the woodworking tool can cut more than wood. Table saw operators have seriously injured their fingers, hands and other body parts after accidentally coming into contact with the spinning blade. An estimated 30,000 table saw injuries occur each year, according to the U.S. Consumer Product Safety Commission (CPSC). Of those injuries, 90 percent involve fingers and hands, and 10 percent result in amputation. Table saws that lack a safety system pose a serious risk for injuries to its operators. A CPSC staff study of emergency room treatments of table saw-related injuries found an average of 11 fractures, 11 amputations and 8 avulsions (tearing away of a body part) occurring every day due to contact with a saw blade. The CPSC study was based on a survey of stationary saw-related injuries occurring from 2007-2008 that were treated in one of the hospital emergency departments in the CPSC’s National Electronic Injury Surveillance System (NEISS). An estimated total number of 101,900 injuries were recorded, and of that number, 78 percent were related to table saws. The study also found that lacerations, fractures and amputations were the most common form of injuries suffered by table saw operators. Fingers accounted for 89 percent of the body parts frequently involved in the injuries, followed by hands (6.8 percent). In 78 percent of the cases, the saw did not have a safety switch. Based on the study, the CPSC staff estimated that individuals suffered about 67,300 medically treated blade contact injuries annually, with an associated injury cost of $2.36 billion dollars in each of those two years. To address the large number of serious finger and hand injuries occurring each year, the CPSC announced in October 2011 that it would propose new rules aimed at improving the safety of table saws. The agency plans to issue its proposal by October 2015. Due to the number of serious injuries, a call went out to the table saw industry to provide new safety technology on their machinery to reduce the number of saw-related accidents involving their products. The table saw industry, for the most part, rejected the request. In 2003, a petition was filed with CPSC asking the federal agency to adopt new safety rules regarding table saws. Among the petitioners was Stephen Gass, a patent attorney and inventor of the “SawStop” technology which can tell the difference between wood and a person’s skin. SawStop’s saws carry a small electrical signal continually monitored by a safety system. When a person’s skin contacts the blade, the signal changes and activates the safety system. SawStop stops the blade within 5 milliseconds of contact, according to a website for the device An aluminum brake springs into the spinning blade, causing the blade to stop. The blade’s angular momentum drives the blade beneath the table and the power to the motor is shut off. The table saw injury lawyers at Alonso Krangle LLP are offering free legal reviews to consumers who have been injured due to using table saws. To learn more about filing a table saw injury lawsuit, please Contact Us Or Visit Our Website, https://fightforvictims.com. Andres Alonso and David Krangle, attorneys with 40 years of collective legal experience, have focused their law practice on the handling of significant personal injury cases, Defective Drug and Medical Device Litigation, Construction Site Accidents, Nursing Home Abuse, Medical Negligence, Whistleblower Actions and Consumer Fraud Cases. A dedicated law firm representing injured victims throughout the U.S., Alonso Krangle LLP is headquartered in Long Island, New York, with offices in New York City, and New Jersey. To discuss filing a table saw injury lawsuit, please contact Alonso Krangle LLP. For More Information About Alonso Krangle LLP Or To Join The Fight And Be A Part Of Our Team, Please Contact Us Or Visit Our Website, https://www.FightForVictims.com.